It is not just new users in Toronto who get frustrated with the CPAP but those who have also been using it for some time. 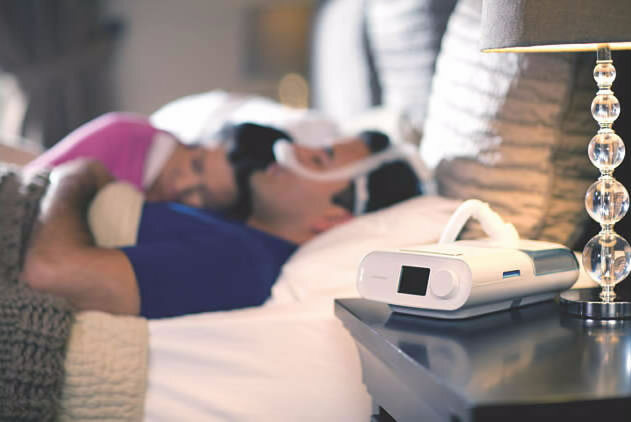 How do avoid common frustrations of the CPAP that you may encounter? I keep getting water in my face when sleeping. To combat this frustration there are a couple things you can do. The reason you are getting water drip or spray in your face is because the warm air from your humidifier is going through a cold hose this causes condensation so here are some options to stop that. Turn down the heat on your humidifier to 1 or 2 for starters. You can also wrap your tubing in the blankets on the bed or purchase a cover for the tubing to keep it warm. The tubing keeps getting in my way when I change positions. To combat this frustration you can either buy a stand which holds the tubing up and out of the way and stands beside the bed or you can put the tubing down between the mattress and the headboard if there is enough room so that it is not crushed. My mask irritates my skin. This can be taken care of with making sure you were properly fit for your mask and using filters between your mask and your skin. Wash your face each night just before going to bed and pat it dry then put the filter between your skin and the mask. Clean your mask daily with mild antibacterial cleaner and warm water then allow it time to dry before use that night. The noise bothers me when I am trying to fall asleep. The new CPAP machines are almost whisper quiet if yours is making a lot of noise first check the filter to make sure that it is clean. Also check to make sure that your machine is not to close to the wall or other objects that could potentially block the filter. If the noise has not quieted down after that have your machine checked at the medical supplier you purchased it from to make sure it is in proper working order. If it is functioning properly and you still can’t get used to the noise try using some white noise such as a fan on a dresser or get a cd of relaxing sounds of nature such as ocean waves and use that. My mask leaks. This can be taken care of by making sure your face is clean from oil and facial hair. Clean your mask daily so you know that the mask is clean and not causing leaking. If it still leaks you can try a filter between the mask and your skin if this solves the leaking, speak to your respiratory therapist or the medical equipment supplier and get your mask refitted to make sure that it is a proper fit. These are some of the most common frustrations that CPAP users in Toronto will have, however not the only frustrations to be sure.